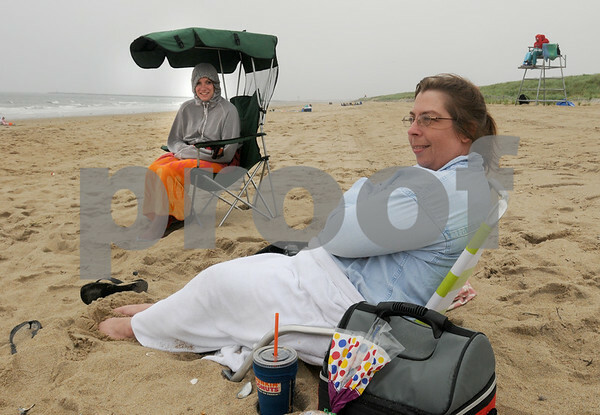 Salisbury: Sarah Gengel, left, from Worcester and Kimm Hamm of Grafton, sit bundled up at Salisbury Beach State Reservation. They up for a day of sun, but the clouds and mist stayed around along the coast. Bryan Eaton/Staff Photo Newburyport News Tuesday June 30, 2009.